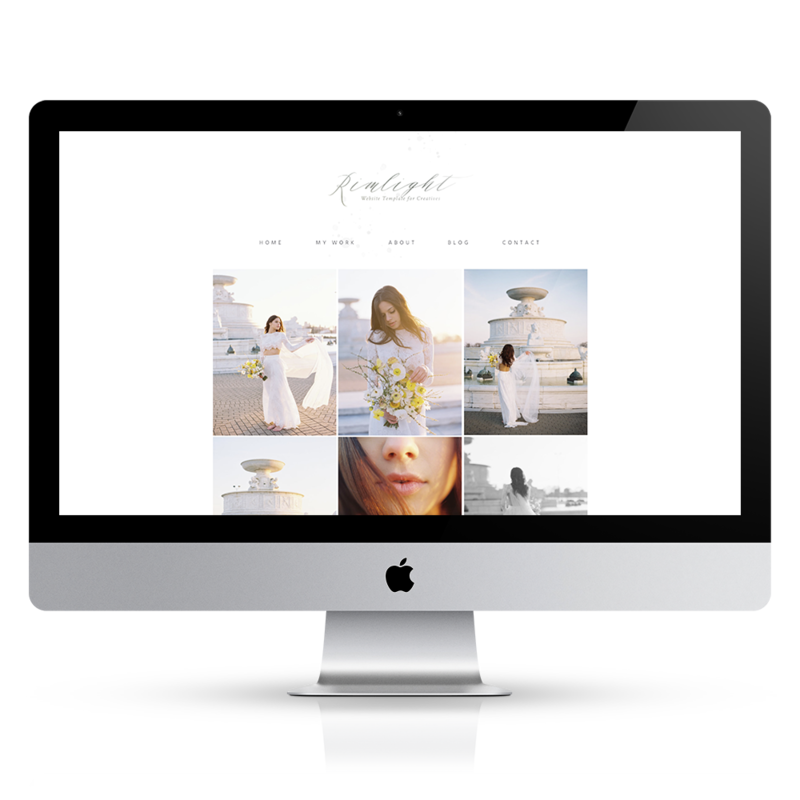 Rimlight, is a Showit website template designed with one purpose in mind, to showcase your work. Your visitors will be greeted with a beautiful 9 image gallery. More features include multiple portfolio options, blog pages, a contact form and an about page with you live instagram feed. We offer 2 optional setup services designed to help you get you new showit template up and live. We’ll take care of the technical stuff while you focus on the rest of you business. These services include 1-to-1 time to teach you everything you need to know about your new site. Download and start working on your Showit template today. Don't worry, being found online is pretty easy with showit templates and our help documentation! Sit back, relax, and actually enjoy customizing your Showit website. You don't have be afraid of not understanding. Showit has built-in chat support. All websites are designed with purpose. No complexity. We keep your clients in mind. Blogs are powered by WordPress making it easy for you to post! All of our websites are designed in the Showit. Not just a pretty layout. All website designs are laid out with purpose. 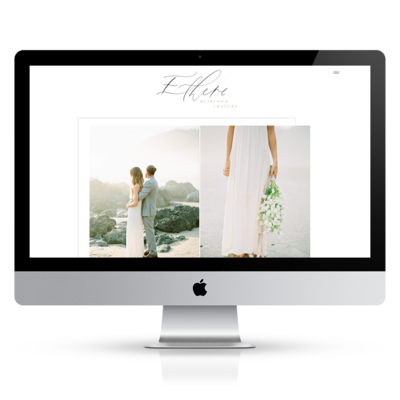 Ethere is an elegant design for any photographer, florist, or wedding industry creative. Designed with purpose, Helena is an elegant Showit website template with a fresh feeling. Adalene is a lightweight design for the modern-day daydreamer. Having an incredibly beautiful website is incredibly easy. With our showit templates you will be in total control of your websites design and branding. From color pallet to font to layout. Easily change any aspect of the site to fit your brands needs.